Angel Arredondo was born with a rare condition called arthrogryposis multiplex congenita (AMC). She is a wife and mother. Angel has overcome many obstacles that most people would consider far too difficult considering her limitations. 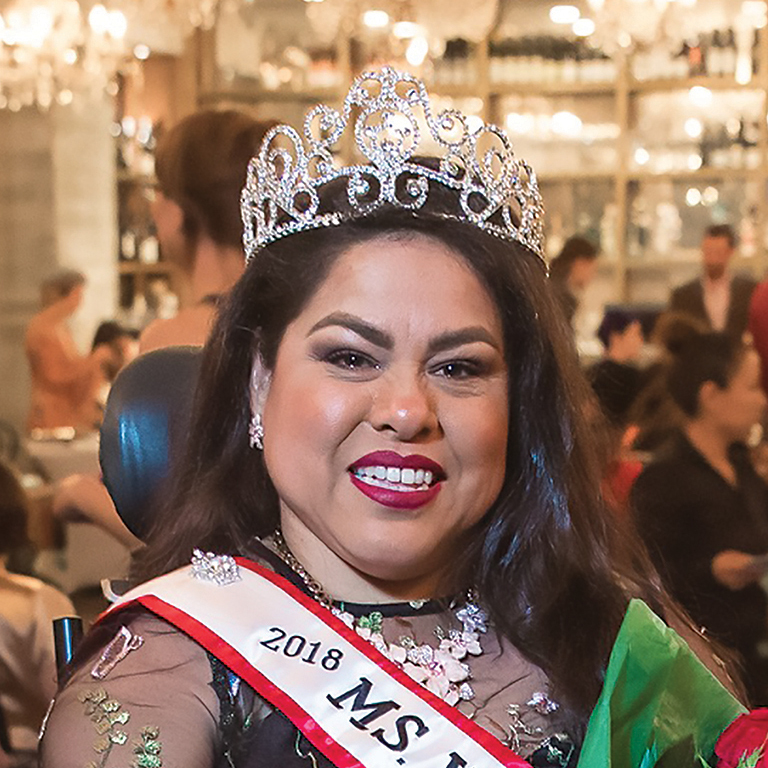 Angel is an active advocate for disability rights, a keynote speaker, an inclusion model for photoability.net, and a member of an advisory committee for women with disabilities regarding pelvic health and reproduction. Additionally, Angel serves as the 2018 Ms. Wheelchair Texas and the new President and State Coordinator of the organization. I Love My Red Wagon is her first in a five-book series touching on her experiences as a child living with a disability. Angel has always worked to be an example of self-acceptance and empowerment for her peers by creating changes in her community and the world. She is working to increase awareness and move public accessibility from a current afterthought to creating inclusive options for everybody. Angel firmly believes that she and other wheelchair users are fully capable. "We are unlimited. We can do anything and everything. Our wheels just get us there faster."